In a mixing bowl, beat cake mix, eggs and oil. The batter will be very stiff. Stir in the chips. Using a small, about 1-inch, cookie scoop, place on parchment lined baking sheet. Bake at 350 degrees F. for 8 – 10 minutes or until a slight indentation remains when lightly touched. Cool for 2 minutes before removing to a wire rack to cool completely. Store in an airtight container. 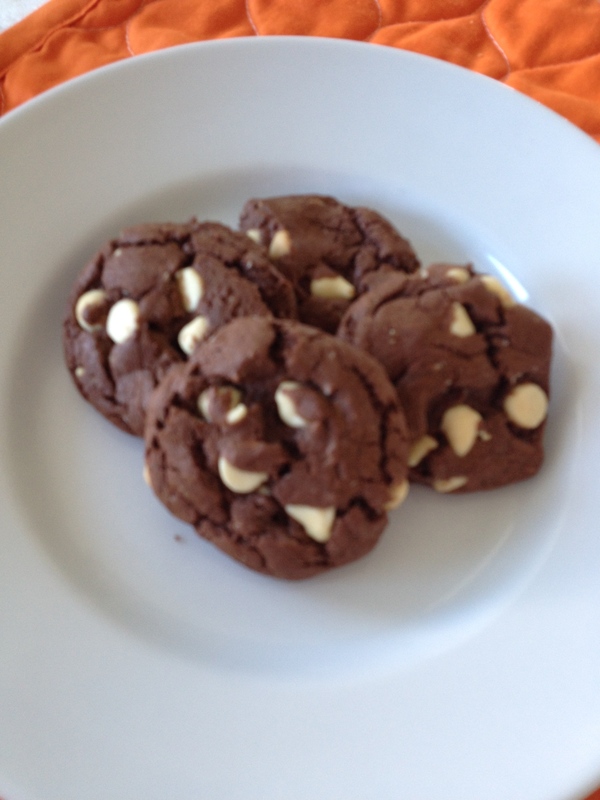 This entry was posted in 52 Week Challenge, Cookies, Desserts, Kid's Favorites, Pot Luck and tagged Bake Sale Recipes, cake mix cookies, chocolate, chocolate cookies, cookie jar, cookie recipes, milk chocolate chips, white chocolate chip cookies, White chocolate chips. Bookmark the permalink.